Roses for Melbourne, Retail and Mail Order Rose Nurseries servicing Melbourne, Victoria Ballarat, Geelong, Albury Wodonga and other rural areas. 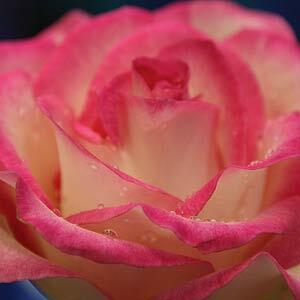 Mail order rose plants are best purchased for Melbourne during the winter months when they are dormant. Roses purchased at other time of the year are best sourced from specialist retail nurseries where they are sold as potted plants. If it’s Winter in Melbourne it’s time to prune roses right? …. Well yes and no, it depends on if you are just pruning roses, or trying to get them to flower at a specific time. If you are looking for some hands on, practical rose pruning demonstrations try you local nursery, they often run rose pruning demonstrations, or follow our basic guidelines. Pruning to a vase or wine glass shape is the preferred way, what we are trying to achieve is an ‘open centre’ so lots of light and air can get in, this promotes growth and also helps prevent diseases. And as to When To Prune Roses in Melbourne. If you are pruning for a special event, like the Melbourne Cup, prune 56 days before you want the flowers.That’s what they do at Flemington and it seems to work for them. Otherwise, if it’s July, start pruning roses. Reg’d national collection D. Austin Roses; Old & Austin. bred Roses in disp lay garden, potted and avail. Plants suitable for the Central Victorian climate. Plants propagated from the historic garden. Trees, shrubs, roses, perennials, succulents and bulbs. Huge range of roses. Standard, climbing, HT, Bush, Groundcover. Specialising in Australian & heritage roses.